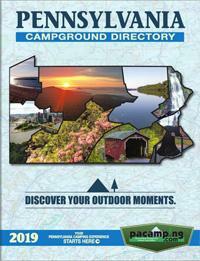 Thank you for your interest in Pennsylvania campgrounds and RV parks. We are pleased to offer our 2019 directory in a variety of formats. Please use the following form to request a copy of our 2018 directory. We will be happy to send you a complimentary copy in the mail. Please note that, due to shipping costs, we can only send directories to the United States and Canada.